Prabir Purkayastha is an engineer and a science activist in the power, telecom and software sectors. 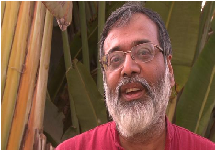 He is a founding member of the Delhi Science Forum as well as the founder of an online video news network Newsclick. Can Artificial Intelligence End the Human Race? When the Russian Embassy in the UK Tweeted the Picture of a (Lame) Duck! Machine Over Man: Enter AlphaGo, Exit The Human?